This little fellow gives a whole new meaning to blood, sweat and tears. What’s that wheezing under your bed? Peering, gape mouthed, from that crack in your closet door? Tap, tap, tapping in your crawl space? 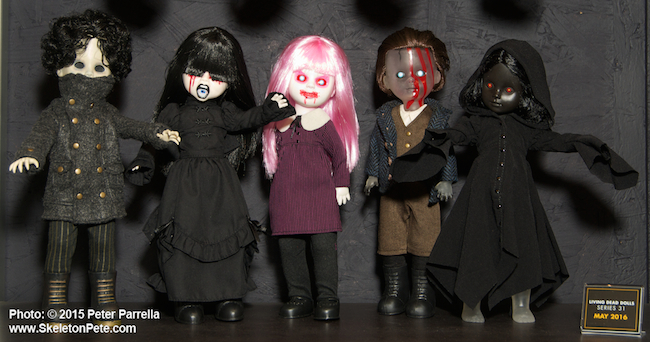 It’s likely Mezco Toyz’ Living Dead Dolls Series 31 figures. This group of five represent the theme of all the things that thrive in the dark. Night lights won’t help as these nocturnal kiddies dart from shadow to shadow. Mezco’s Living Dead Doll Series 31. When darkness falls these creepy kids emerge from their hiding places. 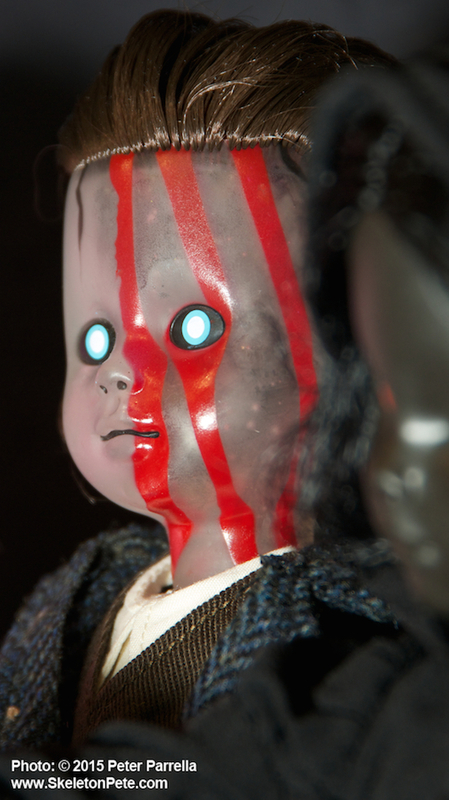 Series 31 features, Umbral, Kreek, The Dark, Bea Neath, Thump, who join the legion of LDD’s brought forth from the twisted creative minds at Mezco over the last 18 years. Collectors can expect this individually coffin boxed group of 8 inch tongue tied and tongue eyed spirits to emerge from their pitch black sanctum later this spring.